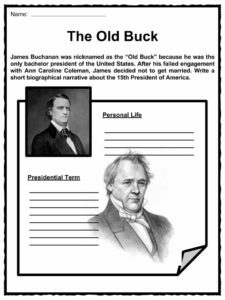 James Buchanan was the 15th President of the United States (1857-1861). He was a former member of both Houses of Congress and President James K. Polk’s Secretary of State. He was the only bachelor President and whose term was blamed for the run-up of the Civil War. 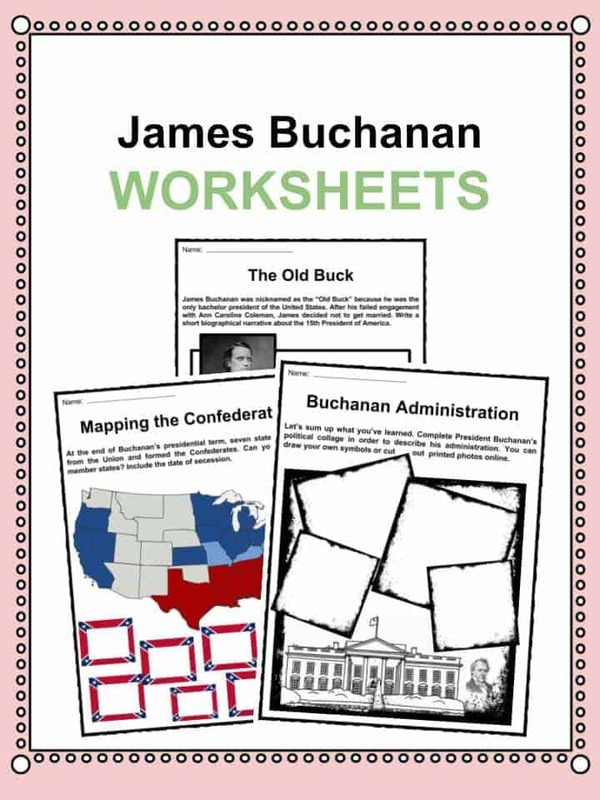 For more information on James Buchanan read the fact file below or download our comprehensive worksheet pack to utilise within the classroom or home environment. 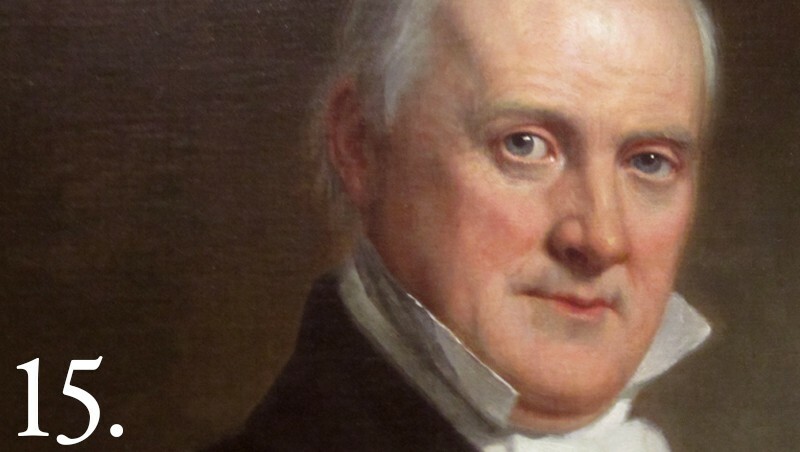 James Buchanan was born on April 23, 1791, in Cove Gap, Pennsylvania to James Buchanan, Sr. and Elizabeth Speer. Their family moved to Mercersburg where he attended the Old Stone Academy. He enrolled at the Dickinson College when he was 16. By 1809, he graduated with honors. Four year later, he was admitted to the bar after studying law in Lancaster. He continued to practice law in Lancaster during the War of 1812. He was the only bachelor president of the United States. James was once engaged to Ann Caroline Coleman, daughter of a wealthy iron mogul. Coleman broke off the engagement after rumors of James seeing another woman. 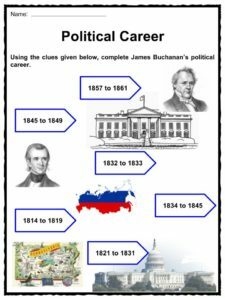 Buchanan’s political career started when he was elected to the Pennsylvania House of Representatives under the Federalist Party from 1814 to 1819. He served from 1821 to 1831 at the U.S. House of Representatives. In 1832, Buchanan was appointed by President Jackson as the Minister to Russia. By 1834 to 1845, he became a Democrat member of the U.S. Senate. 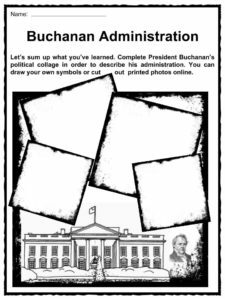 From 1845 to 1849, Buchanan was appointed by President James K. Polk as Secretary of State. He was one of the negotiators during the Oregon Treaty of 1846. President Franklin Pierce appointed Buchanan as the Minister to the Court of St. James from 1853 to 1856. He was one of the drafter of the Ostend Manifesto, together with the ministers of France and Spain. Senator Buchanan was against slavery but opposed the threatening actions of the abolitionists towards the Union. In 1856, the Democratic Party chose Buchanan as their presidential candidate. On March 4, 1856, James Buchanan took his oath of office as the 15th President of the United States at the East Portico, U.S. Capitol. After President Buchanan’s inauguration, the Dred Scott case was decided by the Supreme Court. Scott was a slave residing in a free state. The court believed that Scott, as a slave, was not entitled to the rights of a citizen as written in the Constitution. Buchanan influenced the decision. The decision divided the country into Republican Northerners and Democratic Southerners (some northerners became Democrats). In addition, the Supreme Court announced that the existing Missouri Compromise was unconstitutional, thus, slavery should not be banned. Buchanan supported the pro-slavery stance of few white men in Kansas yet, in 1858, the new Kansas constitutional convention rejected slavery. Three years later, Kansas was admitted to the Union as a free state. Buchanan’s term was devastated by the Panic of 1857. The United States faced an economic depression. 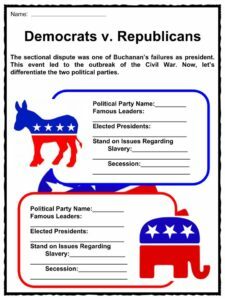 Due to the sectional division between the pro- and anti-slavery north and south, Buchanan’s term heightened the split of the Democratic Party. The Republican Party gained more popularity in both Houses of Congress. During the 1860 election, Republican Abraham Lincoln won. Southerners voted for secession after Lincoln’s election. 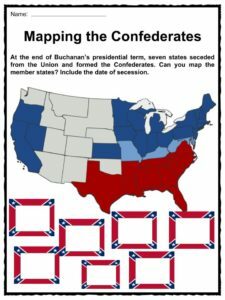 On December 20, 1860, until February 18, 1861, seven states seceded from the Union and joined the Confederacy led by Jefferson Davis. 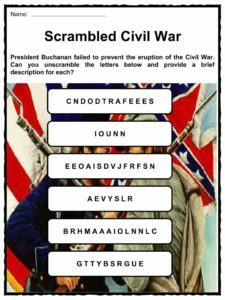 Buchanan failed to prevent the forming of the Confederacy and the outbreak of the Civil War. Two months after Buchanan’s term ended, the Civil War erupted. He supported the war by persuading Democrats in Pennsylvania to volunteer. He was coined by some as a traitor and was blamed for the Civil War. He spent most of his post-presidency years in his home at Wheatfield Lancaster, Pennsylvania. 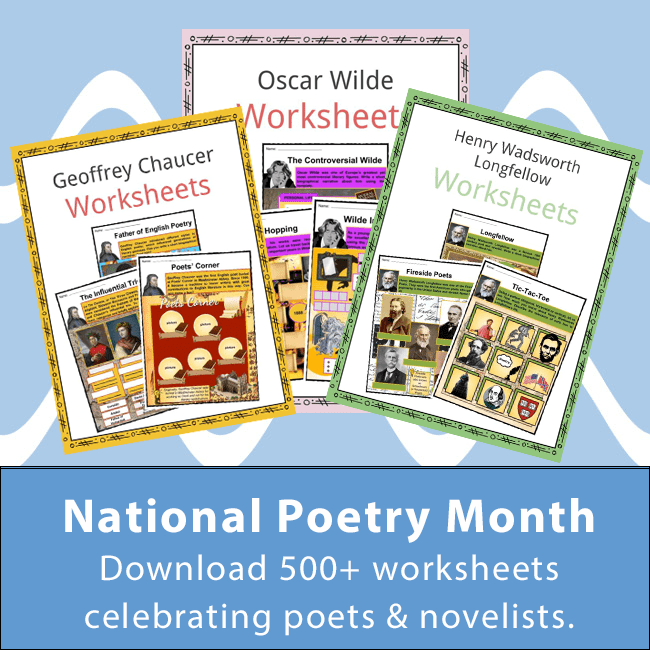 On June 1, 1868, he died of respiratory failure. His body was interred at Woodland Hill Cemetery in Lancaster. 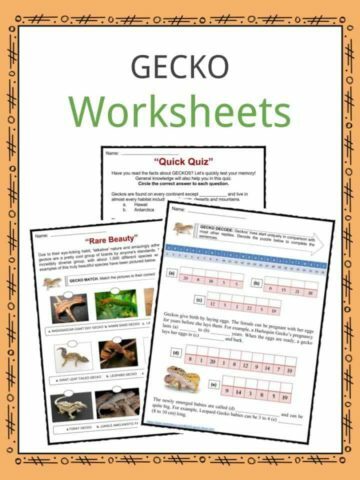 Trying to defend himself, Buchanan wrote “Mr. Buchanan’s Administration on the Eve of Rebellion” that was published in 1866. 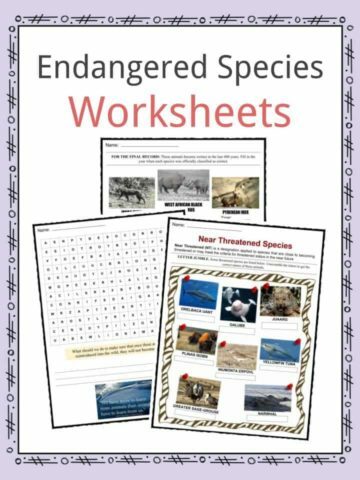 His work was undeniably ignored. 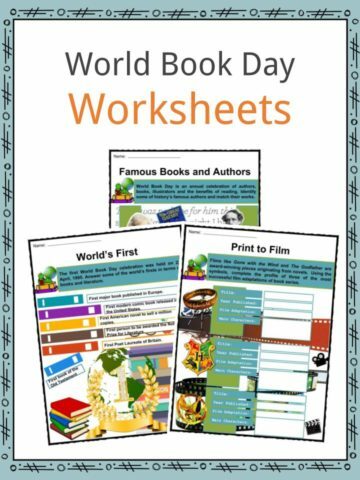 This bundle contains 11 ready-to-use James Buchanan Worksheets that are perfect for students who want to learn more about James Buchanan who was the 15th President of the United States (1857-1861). He was a former member of both Houses of Congress and President James K. Polk’s Secretary of State.